In my last article I talked about how cleaning and decluttering can also clear up your mindset. In this article I’m going to expand on that topic and dive into the reasoning behind this practice. I am a big believer that our possessions hold energy. With everything being energy it’s also all connected. Let’s talk about this for a moment. Have you ever walked into a space and just felt this strange feeling that somethings just not right or that you really didn’t feel good being there and needed to leave as fast as you could? I sure have! In the opposite sense have you ever entered a space and just felt so good like you could stay there for ever because it just felt great? You’re picking up on the energy of the space. The same applies to our possessions they can hold energy too, especially when we have strong emotional attachments to them good or bad. In practicing Feng Shui I have learnt to really feel the possessions that I have in my home, I also teach this to my clients as well. It’s amazing how many times we keep items from our past that holds negative or even sad emotions for us. This can come in the form of clothing, papers, furniture, pictures, nick-nacks or any other items you may have. If you have items in your space that are a constant reminder of a time in your life that wasn’t joyful it’s time to reconsider the value it brings into your space. Even if you don’t notice it these items are having an impact on you subconsciously. Every time you see them you’re being reminded of the negative feelings associated with the item. So now that we’re starting to understand how the energy that’s attached to our possessions can affect us, where do we start? 1. Look at all your items that are broken. These can include chipped dishes, cracked glassware or household repairs that need completed. When you have broken items the energy that they hold are saying that it could be a struggle to attract new things into your life, also that the flow in energy could be broken or slow. If you can’t fix the item maybe its time to release it so you can make room for the new. 2. Papers, do you have recycling that needs tended too? I always find old to-do lists that I’ve kept. How about old magazines, newspapers, or flyers? Are there books that you’ve out grown, could donate or pass on? 3. Clothing, this can tie into the category of things that maybe broken. Are there articles of clothing that you’ve kept which have seen better days? Are they worn, torn or stained? Have you out grown the style, or just don’t wear the item anymore? The clothing that we wear can have a significant impact on how we feel. Make sure you are wearing cloths that help you feel good. 4. Many of us have house plants and even with the best of intentions sometimes the plant life doesn’t always thrive in our homes. I know I have my fair share of challenges with this. Do you have plants that need some care to remove the parts that are not well or plants that you just need to remove from your space because they are no longer healthy? Unhealthy plants can send the message that our space is not healthy either, take time to clean up your plants. 5. Ok this one is a little bigger and could take a bit of time to work up to. It’s time to look at your furniture, I know sometimes it’s not always feasible to replace items. Here’s where I like to start. Are there any items in your space that have remained there through some less than happy times in your life? Pay attention to how you feel when you walk by those pieces. If they hold any kind of negativity for you like animosity, resentment, sadness or just remind you of someone or a time in your past you would rather just forget it’s time to make a plan to replace those items. Set your plan our for a month for small items and up to 6 month for larger items. Next are there any repairs you need to make to your furniture? How about items that may just need a good cleaning like an upholstered chair or couch? Can you refinish some of your well loved pieces?Make the time to do this. 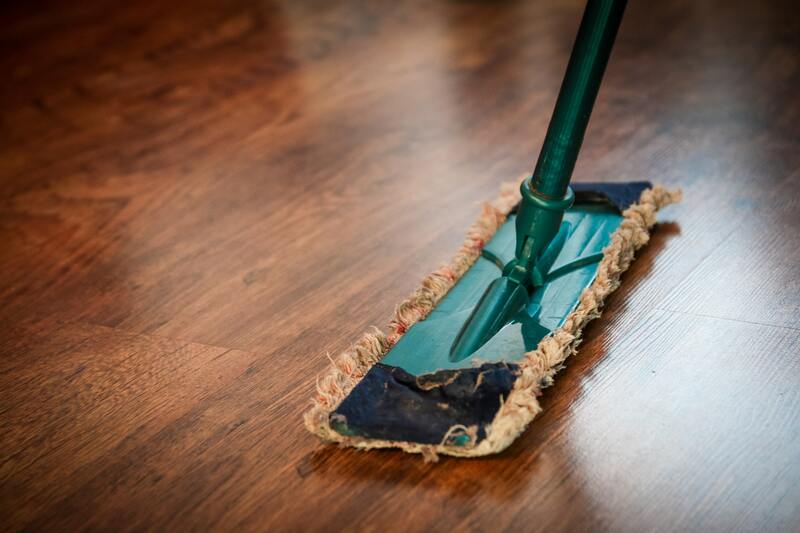 Now that you have my top 5 cleaning practices your ready to get started! Make sure you take time when your done to notice the change you feel in your space. Enjoy it! This will give you motivation to keep going and to keep up this practice whenever your space starts to feel heavy or you find yourself in a bit of a mood. Moving from Anxiety into Serenity! Speaker, Author, and Life Strategist Nicole Michalski believes in sharing her real life stories and experiences on what it really takes to achieve success. Her mission is to empower others along their journey supporting them through the tough times while being honest about the hard work it takes and that there’s always going to be challenges even perceived failures along the way, but those are there to help us grow, so we can show the world what were made of. FREE Download: My Top 5 Strategies for Reducing Anxiety!